Stephen J. Spoltman, JD, CLU, ChFC | Summit Consultants, Inc.
Steve founded the firm in 1988, serving as its sole investment representative. After initially working with insurance company broker dealers, he joined LPL Financial, an independent broker dealer, as Branch Manager in 1995. Steve is responsible for setting and overseeing the standard of care for the clients of the firm. Prior to founding the company, Steve practiced private law as well as served as Associate General Counsel for Midwestern United Life Insurance Company (MULIC) in Fort Wayne for over ten years. While at Midwestern, he focused a significant amount of his time and efforts on working with the financial concerns of the company’s policy owners. Steve earned his BA in Sociology from Indiana University-Fort Wayne in 1974 and his law degree from Indiana University School of Law-Indianapolis in 1977. He currently holds his securities registrations with LPL Financial, as well as state insurance licenses. In addition, he is a Chartered Financial Consultant (ChFC) and a Chartered Life Underwriter (CLU). Steve is a member of the Indiana and Allen County Bar Associations. 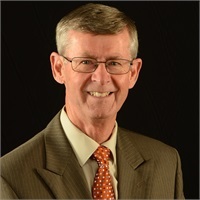 He has served on the Board of Directors for several not-for-profit groups and financial advisory boards for his church. He is also a member of the Financial Services Institute that works to promote stronger financial planning initiatives. Steve and his wife, Pat, are lifelong residents of Fort Wayne and have three adult children and four grandchildren.